According to Google, People’s online and offline worlds are colliding — nearly one third of all mobile searches are location-based. 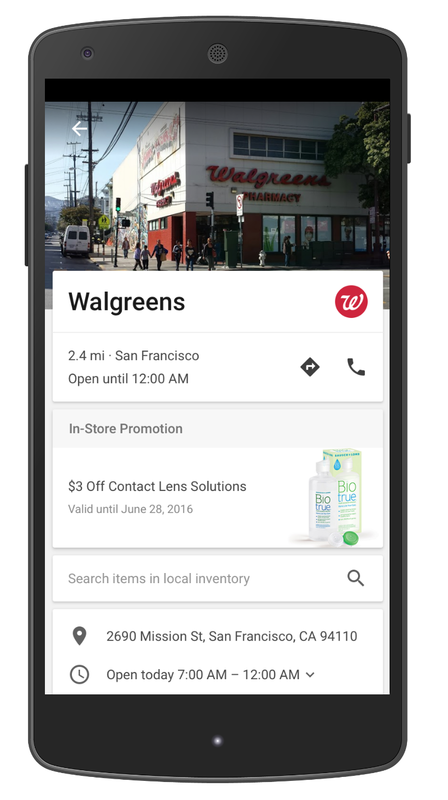 Google announced it will begin experimenting with local search ads on Google Maps, including a drop pin to notify nearby customers of a related search nearby and Promoted Pins for paying businesses. In a blog post, Google announced it will begin experimenting with local search ads on Google Maps on both the desktop and mobile versions. Sridhar Ramaswamy, senior vice president, ads and commerce said “When we asked people to describe the role smartphones play in their lives, they used phrases like “attached to my hip”, “butler” and “lifeline.” Smartphones have become the companion that people turn to in I-want-to-know, I-want-to-go, I-want-to-do and I want-to-buy moments throughout the day. To help connect mobile users to business on Google Maps, the technology company will show search ads in two places: within the search results list beneath the search box, and on the map. 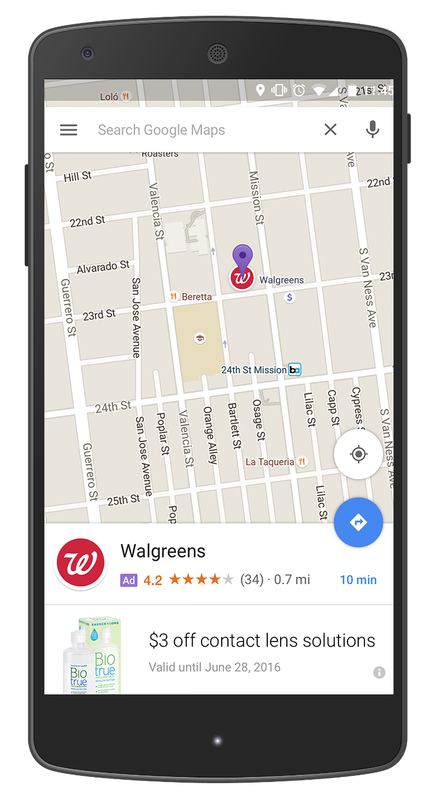 Promoted Pins appear on the map with a purple icon and business name, they will appear when a user search for things like “shoe store” or “car repair near me.” When a person clicks on the Promoted Pin, the ad will expand to show details about the business, like store hours and customer reviews. The ad can also include a Directions button and a call button. Google is also experimenting with search box option which will encourage consumers to explore your store before they even arrive, like special offers and the ability to browse product inventory.